Having enjoyed my raspy Apexi N1 Evolution singing its 4age song for nearly 18 months now, I really wanted a change. I wanted something a lot more subtle and quiet, stealthy even, but still wanted the extra power, torque, and responsiveness provided by an aftermarket exhaust. Enter Fujitsubo. With big thanks to RHDJapan and Fedex, 69 hours later this awaited me after work! 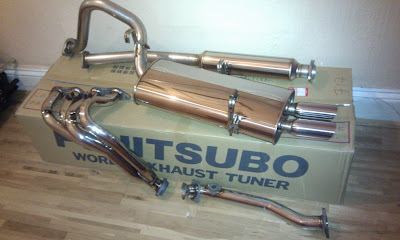 What we have here is, a Fujitsubo Super Ex 4-1 manifold, and a full Legalis R cat back system. The Super Ex has two versions, the Super Ex pictured above, and the Super Ex basic. As far as I could tell, both are stainless but the Basic is just a non-shiny version, and one of these actually lives in the engine bay of Kevs 20v '86 Levin. I wanted the shiny, and the Basic version is no longer in production I believe, so Super Ex p/n 620-22454 it was. It is an absolute work of art. 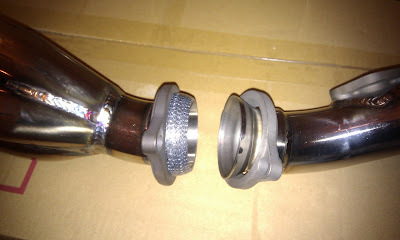 The laser cut flange has been finished really nicely, and the welding is just impeccable. 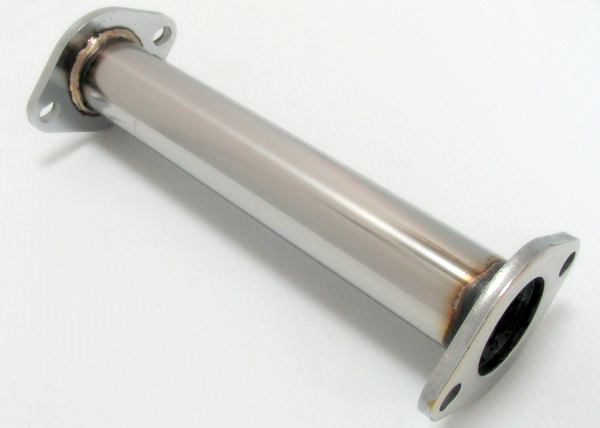 There are even mounts for a factory heat shield which I might just have to locate and fit for completeness lol. 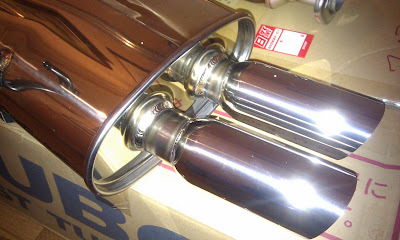 The 4-1 header mates to the down pipe with this really tough looking donut joint, which I am really looking forward to seeing how it works, as a low hanging universal flexi joint is just no good on a slammed '86.. I went through one on standard suspension and holed the second one a week into having my coilovers! Irish backroads are fun but tough.. FGK also included a tidy O2 sensor bung, along with an extension cable and fittings for the factory sensor. 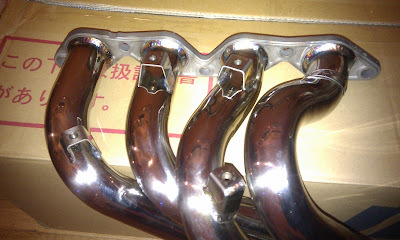 As for the catback, FGK's Legalis R comes in 3 versions for AE86. Two have a long silencer, available in single and twin tip, and the third has a roughly half length silencer with twin tips, and is a fair bit louder than the other two. I wanted stealth, and also the tidy slash cut twin tips to fill up the exhaust space in my Runfree rear bumper, so Legalis p/n 750-22455 was chosen. The cat back is of the same top quality as the manifold, and comes in two sections. The flanges are all reinforced, and the hangers are hollow for weight saving, as well as being welded in many places for strength. The whole set up weighs in at just 18kgs! 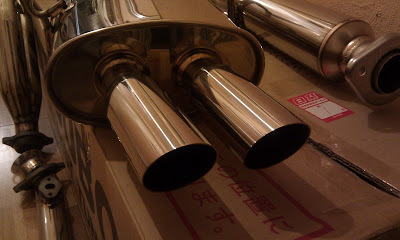 All I need now is a nice stainless decat pipe to match this clean system, but these seem readily available in the correct 315x50.8mm dimensions on the auctions so Ill order one soon..
..and hopefully it won't be long until I'm hearing more intake than exhaust with a subtle purr from these guys out back! Its nice to have some proven specs measured by Fujitsubo during development. I'm still amazed that companies are making such good parts for 23+ year old cars. They have my support anyway! It will be interesting to see the dyno figures for the full exhaust system with the ARC chamber setup on the intake side on my otherwise standard engine. Watch this space! I cant wait to fit this with you, its perfect!!!! oh!!! I have a couple of them standard heat shields in very good condt in HQ!!!! Nice bit of kit there? I look forwward to seeing how it sits out the back of the run free styled trueno! Me too, the twin tips are wide enough to fill the gap nicely, but I dont know how far they will poke out or at what angle. I think it will be just a little bit, the Apexi N1 on it now is pretty much flush..
yeah he does, and It will be up for graps when the new one is fitted.